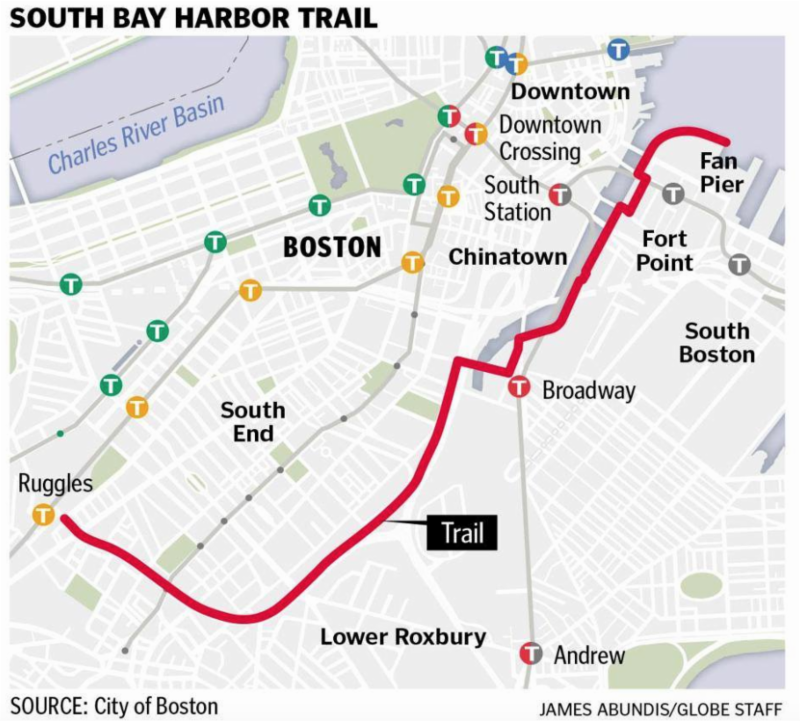 The City of Boston has secured funding to design and construct this portion of the South Bay Harbor Trail, The entire Trail will connect Boston neighborhoods to the waterfront and be completed in stages. 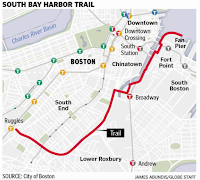 The walk and bike friendly route will go through South Boston, South End and Roxbury. At this meeting the City will share the latest plans, solicit feedback, and share next steps for the project. The design for this section is expected to be completed in 2017 with construction beginning in 2018. Congressman Stephen Lynch will be hosting the first telephone town hall of the New Year on Tuesday, January 24, 2017. The telephone town hall will be one hour long from 7:00 PM to 8:00 PM. Congressman Lynch will be answering questions on issues of importance to you and your family. To participate, call (877) 229-8493 at 7:00 PM and enter the pin 115003. Once the telephone town hall starts, you will be able to ask a question by pressing *3 on your keypad. If the town hall ends before there is an opportunity to answer your question, you may leave a voicemail at the end of the event or follow up with Congressman Lynch's local office during regular business hours at (617) 428-2000. To be automatically called for future telephone town hall events, you can sign up online. If you are unable to participate on January 24th, you will be able to access the audio files from the event on the Vekeo website after the telephone town hall concludes. City Council President Michelle Wu publishes notes from Boston City Council meetings. The Boston City Council considered the items below at their first meeting of 2017. Because the Council operates on one-year legislative cycles within a two-year term, proposals that aren’t voted on by the end of each year become inactive and need to be refiled in the next year if the sponsor wants to keep working on them. The refilings highlight the Council’s focus on tackling some of the biggest issues facing Boston, including combating violence in our neighborhoods and criminal justice reform, closing the income inequality gap, and dealing with the housing crisis. • Collector Treasurer: Michael DiPiano as Temporary First Assistant Collector-Treasurer and Anthony Dello Iacono as Temporary Second Assistant Collector-Treasurer for a period of 60 days effective January 4, 2017. Parking: Councilor Baker refiled a hearing order to discuss the current city resident and visitor parking programs as well as the potential to develop new revenue generating parking permit programs. At a hearing in October, city transportation officials discussed programs in place to achieve their three goals of making parking more convenient, better-managed, and less-needed. Residents testified about the need to accommodate all types of users on roads and charging a fee for residential parking permits. The matter was sent to the Parks, Recreation and Transportation Committee for another hearing. The previous discussions have included Low-Stress Bicycling Network (view video), Pedestrian Safety (view video) and Systematic Safety (view video). Housing Innovations: Councilors Baker and Zakim refiled a hearing order to discuss cooperative owned housing, especially single room occupancy and micro units and other alternatives as a way to create more affordable housing options in Boston. Both emphasized the need to relieve the housing crunch in Boston, which is making our city unaffordable for too many families. The matter was sent to the Housing and Community Development Committee for a hearing. Just Cause Eviction: Mayor Walsh refiled a home rule petition called the Jim Brooks Stabilization Act with a goal of preserving housing stability and maintaining diversity in Boston’s neighborhoods. The petition would apply to landlords who own seven or more units in Massachusetts and outlines nine causes that could justify an eviction, including nonpayment of rent, violation of terms of the lease, and damage to the apartment. The petition further requires that any eviction or nonrenewal of a lease must be sent to the City’s Office of Housing Stability within two days after such notice is sent to the tenant. The matter was sent to the Government Operations Committee. Boston Residents Jobs Policy: Mayor Walsh refiled an ordinance amending the Boston Residents Jobs Policy employment standards, from the current standards of requiring at least 50% Boston residents, 25% people of color, and 10% women on covered projects to 51%, 40%, and 12% respectively. The order also extends covered projects to include not just City-funded projects but also major development projects that require Zoning Board of Appeals approval and are at least 50,000 square feet. Finally, the ordinance amends the scope of the Boston Employment Commission to handle all compliance related issues and report to the City Council twice a year. The matter was sent to the Government Operations Committee. Body Cameras: Councilor Campbell filed a hearing order to review the Boston Police Department’s body camera pilot program, which began in September of 2016 following several months of planning and community meetings. The hearing would serve as a mid-pilot check-in to understand data and findings of the program so far with the Boston Police Department and the Northeastern University researchers who are evaluating the pilot. The matter was sent to the Committee on Public Safety and Criminal Justice. Reprecincting: Council President Wu refiled a hearing order to discuss reprecincting in Boston before the 2017 municipal elections. Precincts are the smallest unit of building political districts, and theoretically they are supposed to be equal in size. However, because Boston is exempt from the state law requiring reprecincting every 10 years right before redistricting happens, Boston hasn’t adjusted our precinct boundaries in over 80 years, and since that time we have seen our population grow and shift across neighborhoods. Some of the largest precincts in the city have well over 2,000 voters in high-turnout elections, and some of the smallest have under 200. This results in unnecessary barriers to voting at some of the largest precincts, including long lines and wait times at some voting locations. The matter was sent to the City, Neighborhood Services, and Veterans Affairs Committee for a hearing. Snow Removal Exemption: Councilor Jackson refiled an ordinance that would create an exemption for residents over 60 years old and disabled residents from the City’s snow removal rules. Currently, the City requires all homeowners to shovel the sidewalk in front of their home within 3 hours of snowfall, with a $50/day fine for non-compliance. The proposed ordinance would allow seniors over 60 years old and persons with disabilities to apply for exemption through an “opt-in” process. The matter was sent to the Government Operations Committee. Curbside Composting: Following a hearing in October, Councilors O’Malley and Pressley refiled a hearing order to discuss a curbside composting program in Boston. Currently, Boston’s Public Works Department oversees trash pickup and single stream recycling. Cambridge launched a curbside composting pilot in one neighborhood two years ago, and it was so successful that they are expanding it citywide. The matter was sent to the Environment and Sustainability Committee. Plastic Bag Ban: Councilors O’Malley and Wu refiled an ordinance to ban flimsy plastic bags from retail establishments in Boston. Many of the flimsy, single-use plastic bags end up tearing and littered on our streets or in our trees. The ordinance would require retail establishments to offer plastic bags of at least 3 mils in thickness (think bookstore bags) that are more reusable and charge a 5-cent fee on these thicker plastic bags, recyclable paper bags, and compostable bags. That fee would go back to the retail establishment to cover the increased cost of thicker bags. Wu noted that any conversation about increasing costs for families is difficult when so many are struggling to make ends meet in our city – the goal of the ordinance is to encourage residents to use reusable bags when shopping and reduce plastic bag waste in a way that is fair for small businesses and not prohibitive for residents. The urgency of climate change as a social and economic threat to our future grows more visible every day, and we need to take every step we can to move toward a greener economy. The matter was sent to the Government Operations Committee for a hearing. Investing in Mental Health Supports: Councilors Pressley & Essaibi-George refiled a hearing order to explore additional investments in mental health resources for city departments. They specifically mentioned the need for additional clinicians to accompany Boston Police in ridealongs. Currently, there is one clinician funded by Boston Medical Center’s BEST program to accompany police officers, and there are eight social workers (five at district stations and one each assigned to the school police, gang unit, and domestic violence unit). The matter was assigned to the Committee on Homelessness, Mental Health & Recovery. Special Education and Equitable Transitions: Councilor Pressley filed a hearing order to review the FY18 special education budget and ensure equitable transitions of BPS youth as they graduate or age out of BPS. Councilor Pressley has been holding hearings over the last three years on this topic to ensure all students receive the supports they need. This year’s order particularly notes the need to review changes made last year to the weighted student funding structure for students with autism or emotional impairments. The matter was sent to the Education Committee for a hearing. Insurance Benefits for Surviving Spouses: Councilor Flaherty filed a home-rule petition to reinstate the ability of spouses of City of Boston employees who died in the line of duty who later remarried to receive City of Boston health insurance. In 2000, the legislature repealed part of the “remarriage penalty” allowing those spouses who remarried to receive pension benefits, but not insurance benefits. This home rule petition would once and for all do away with the “remarriage penalty.” The matter was sent to the Government Operations Committee for a hearing. Violence in Boston: Councilor Jackson refiled a hearing order to discuss violence in the City of Boston. He stated that the rates of nonfatal shootings and sexual assaults increased in the last year and the city needs a holistic plan for violence. Councilor Ciommo was concerned that the language of the hearing order focused on the Boston Police Department when there are many other relevant agencies and departments, and the Council took a brief recess as Councilor Jackson amended the language to clarify his intention to include other agencies. The amended matter was sent to the Public Safety and Criminal Justice Committee for a hearing. Nomination Papers: Mayor Walsh refiled a home-rule petition to amend the rules around nomination papers to allow registered voters to sign as many candidates’ papers as they wish, rather than limit them to one valid signature for candidates for Mayor and District City Councilor and four candidates for City Council At-Large. The matter was sent to the Government Operations Committee. Municipal Lobbying: Mayor Walsh refiled a home-rule petition to create regulations on disclosure and registration for lobbying at the city level, modeled after existing State-level regulations. The rules would apply to both executive and legislative lobbying, including communications with all city employees at all levels over government operation. The rules would also include procurement contracts in the regulatory framework. The matter was sent to the Government Operations Committee. 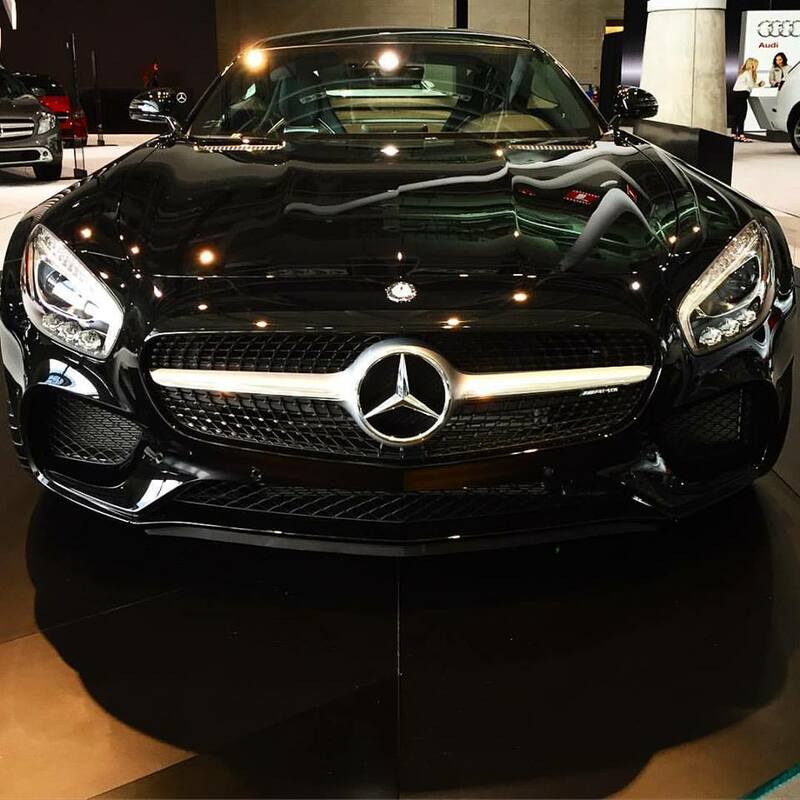 The New England International Auto Show is at the Boston Convention & Exhibition Center (BCEC) through January 16, 2017. The show also includes the Boston RV & Camping Expo. Attendees directed to overflow will be given maps and directions to the respective overflow location. If all of the above locations fill up, attendees will be given maps of the entire South Boston Waterfront and its parking locations after which the attendees will be on their own to find parking. Keep your eye open for the latest model cars on test drives around the neighborhood. In addition, the BCEC will welcome 1,500 guests to the MLK Breakfast the morning of Monday, January 16th. Proposed Work: Modify Certificate of Design Approval 16.1418FPC by reconfiguring the bike lanes, street lights and trees. Applicant: Susan Twomey, Bergmeyer Associates, Inc. Proposed Work: Modify Certificate of Design Approval 16.1560FPC with changes to the lighting, window and door openings within the Harborwalk, installing doors within an existing opening at the Necco Court façade, and installing a kitchen exhaust opening on the alley façade. Proposed Work: Install a temporary vinyl banner sign on the façade. Proposed Work: Replace ground floor infill; modify window openings on the side façade and create an accessible entrance; install canopies, lighting, and signage. Proposed Work: Ratify the replacement of a banner sign; and install two neon signs in the display window. Effective Monday, January 9, 2017 Boston's new default (unposted) speed limit is 25 mph. The new speed limit is part of the Boston Transportation Department and City of Boston Vision Zero initiative to reduce severe accidents and fatalities and to create safer streets. Research shows that pedestrians struck by drivers going 25 mph are half as likely to be killed as those struck by drivers at 30 mph. What does that mean for Fort Point? In addition to a default speed of 25 mph on our roads, the speed limit on A Street will reduce from 30 mph to 25 mph. The new legislation also called for the reduction of existing posted speed limits in thickly settled areas or on congested streets like A Street in Fort Point. The City is in the process of removing the higher speed limit signs where necessary. If the A Street 30 mph sign is still posted on or shortly after January 9th and you are travelling over 25 mph, you may receive a warning. There is also a provision for the establishment of special safety zones with a posted speed of 20 mph. Watch your speed and always keep an eye out for your neighbors walking or biking, especially when accompanied by children and dogs. to review the following projects to determine what conditions, if any, the Commission will impose in order to protect the interests of the public and private water supply, ground water, prevention of pollution, flood control, prevention of storm damage, protection of fisheries and land containing shellfish, and protection of wildlife habitat. Click here for complete agenda. The public is invited to make comments. Request for Certificate of Compliance for DEP File No. 006-1369 from the Fallon Company for removal of a bituminous concrete parking area and the construction of a new building with an underground parking garage, new private roadway, and associated utilities, 100-104 Northern Avenue, South Boston, Boston Harbor. The City of Boston is scheduled to launch a one year parking pilot study on Tuesday, January 3, 2017 to evaluate parking demand and metered parking pricing in the Back Bay and the Seaport. The Performance Parking Pilot will test two different models to adjust parking demand. In parking spots in the Back Bay, meter prices will be raised to $3.75 per hour for the approximately 1,650 spaces in the program. The Back Bay pilot area is bounded by Beacon St., Arlington St., Stuart St., Mass Ave and Charlesgate. The Seaport pilot area runs from the Channel to Seaport Boulevard to D Street to Cypher Street to W. 2nd Street to Dorchester Avenue (see map below). All meters in the Seaport pilot area will be priced at $1.50 an hour and adjust by 50 cents every two months. Approximately 591 metered spots will be adjusted over 40 blocks. High demand blocks will increase by 50 cents, while lower occupied blocks decrease by 50 cents. The minimum price will be $1 per hour, and the maximum price will be $4 per hour. Price will vary by four time bands (weekdays 8 a.m. - 12 p.m.; 12 p.m. - 5 p.m.; 5 p.m. - 8 p.m. and all day Saturday).the parking pilot in the Seaport will employ parking meter sensors to adjust parking prices based on parking occupancy, and parking spot location. Prices will be re-set every two months, and will remain consistent in two-month increments. Prices will stabilize when occupancy reaches the target of 85 percent, about one space open per block. Parking rates will be posted on meters and available online. In addition, parking prices will be available on the City's Park Boston app. Residents are encouraged to share feedback on the pilot through performanceparking@boston.gov. Parking meter prices have not been adjusted in Boston since 2011, when they were raised to $1.25 per hour. The goal of the parking pilot is to better allocate parking spaces. At the end of the pilot experiment, a portion of any increase in revenue will be reinvested locally. All parking meter revenue is deposited into the City's Parking Meter Fund, for transportation-related uses. Boston Unplugged / Acoustic Live Entertainment Ordinance: The Council voted to pass City Council President Wu's ordinance to eliminate the license requirement, hearing, and fees for small businesses in business districts to host acoustic live entertainment acts of up to five performers between the hours of 10AM-10PM. This follows three successful time-limited pilots in Main Streets districts in May, August, and December 2015 that Mayor Walsh and the Council collaborated on. The goal is to give small business owners throughout the city another tool to increase foot traffic and create more opportunities for artists, musicians, improve performers, and standup comedians in Boston. The ordinance has a one-year sunset provision so that the Council and City can reevaluate the results at the end of 2017. Gas Leaks Ordinance: The Council voted to pass the ordinance regarding gas leaks filed by Councilors O’Malley in an amended version. The edited language requires coordination of infrastructure repair when roads are opened up, data collection, and protecting the city’s environment and green space. The reporting piece will fall under the Public Works Department’s permitting authority. The ordinance also gives Public Works the ability to withhold or revoke non-emergency work permits if a company has documented unrepaired gas leaks, and it requires the City to develop and publish procedures to obtain compensation for restoration or replacement of trees or shrubs that have been injured or killed by natural gas leaks. Scam Contractors Ordinance: The Council voted to pass Councilor Flaherty’s ordinance aimed at protecting residents from scam contractors who may collect partial payment and not finish a job before moving on to scam the next resident. The legislation requires contractors to list all open permits including address, date issued, status of project, and the expected completion date, when applying for a new building permit. It also requires the commissioner of ISD to consider the number of open permits and status of projects when approving permits and to automatically deny any applications that fail to list open permits. These provisions will only apply to residential projects. Sandwich Board Sign Ordinance: The Council voted 12-1 (Councilor Zakim against) to pass the Mayor’s ordinance extending the provisional sandwich board sign program by six months to mid-2017. The original ordinance provided uniform regulations for the first time on sandwich board signs, giving small businesses the ability to have one free-standing sign of a certain size outside their building advertising products within. The Administration filed this provision to push back the sunset provision by six months in order to collect more data to evaluate the program and neighborhood impacts. Councilor Zakim stated that he was voting against the extension because his district includes Newbury Street, where buildings have multiple businesses inside and therefore allowing each business to have one sign ends up cluttering the sidewalks. He advocated for an eventual ordinance to treat different areas differently. Contractor Safety Ordinance: We voted to pass Mayor Walsh’s ordinance that would give the Inspectional Services Department the authority to include a 5-year lookback at applicants’ safety records as part of the building permit approval process. Under the current process, the City does not include consideration of federal OSHA violations as part of issuing permits. The two workers who were killed in a trench under Dartmouth Street in the South End when their equipment hit a water main were working for Atlantic Drain Company, a business that had numerous OSHA violations and unpaid fines on record. Alcohol Tax Ordinance: The Council voted 10-3 (Councilors Baker, Linehan, and Wu in the minority) not to pass the home-rule petition sponsored by Councilors Linehan & Baker to add a 2% tax on alcoholic beverages at package stores and restaurants that would fund prevention and treatment programs for substance abuse. Councilor Linehan projected that such a levy would generate $20M annual to fund the Mayor’s Office of Recovery Services, including treatment on demand and outreach workers to get more residents struggling with substance abuse into recovery programs. Councilor Baker described the desperate need for the city to lead and provide resources as lives are lost to addiction. Other Councilors agreed with the importance of addressing the opioid crisis and substance use, but described the proposal as not prescriptive enough about how to close inequities or were concerned that the state needed to do more and not take advantage of the city’s resources when Boston is serving patients from across the state.